Chances are the ways your customers shop have evolved a lot in the last 20 years. Instead of flipping through the phone book to find your number, today’s shoppers are using the Internet to thoroughly research products, check out reviews, browse social media, look at third-party sales sites and more to make buying decisions and find a dealer. Your digital marketing efforts are crucial in helping you reach your customers where they’re shopping – on the Internet. By taking advantage of search engine optimization, maintaining strong social media profiles and optimizing your website, you can help turn casual shoppers into loyal customers. 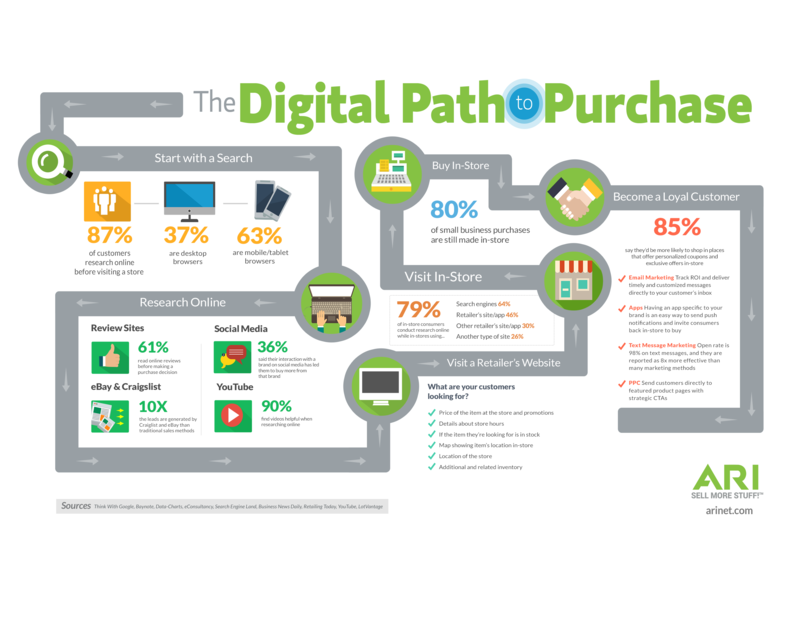 I’ve got tips on how to reach the 87% of shoppers who research online before visiting a store, optimizing your website and other digital marketing best practices to make sure you’re reaching your customers throughout today’s evolving digital path to purchase over at the PowerSports Business blog. Click to read the full article!